When your vet diagnoses a tendon injury, it’s never welcome news. It could mean a long period of time off work and an increased risk of reinjury and, in severe cases, may be career-ending. Unfortunately, a tendon injury can affect any horse, but arming yourself with the knowledge of how tendons work and can be damaged will help you to manage injuries and take steps to prevent them, too. 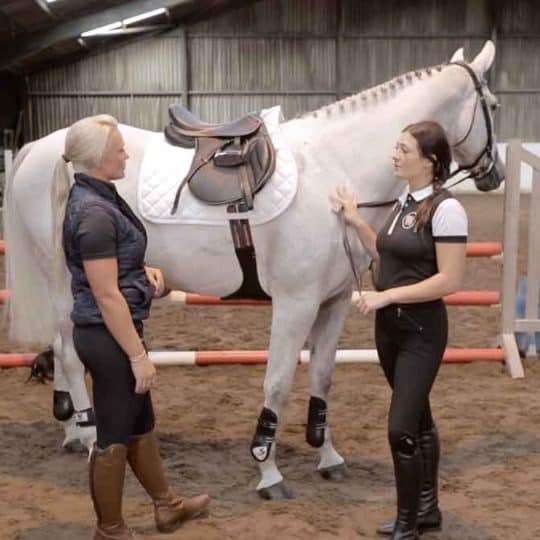 Plus, knowing what signs of injury to look for will help you spot problems early so they can be treated promptly, increasing your horse’s chances of a good recovery. Tendons are strong bands of tissue that connect muscles to bones and transmit the forces generated by a contracting muscle to the skeletal system, which results in movement. They’re made of long strands of collagen that are organised into parallel bundles. This gives them their high tensile strength, which means that they’re able to resist great pulling forces, and they’re also slightly elastic. Tendons have a limited capacity for coping with strain. Beyond that point, they can’t continue to stretch elastically and the fibres are damaged. Interestingly, in a galloping horse, the strain experienced by the superficial digital flexor tendon is very close to the strain at which fibre damage can occur. This is why tendons are said to have a small safety margin. the flexor tendons run down the back of your horse’s legs and flex (bend) it. There are two – the superficial digital flexor tendon and the deep digital flexor tendon. 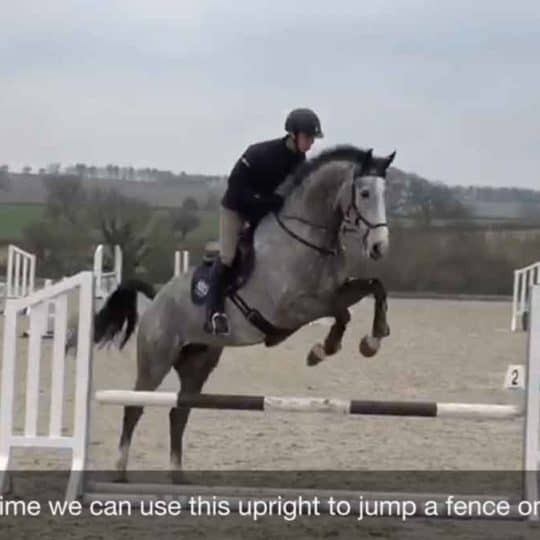 They’re easy to feel at the very back of your horse’s lower leg, with the superficial digital flexor tendon the furthest back, just underneath the skin. 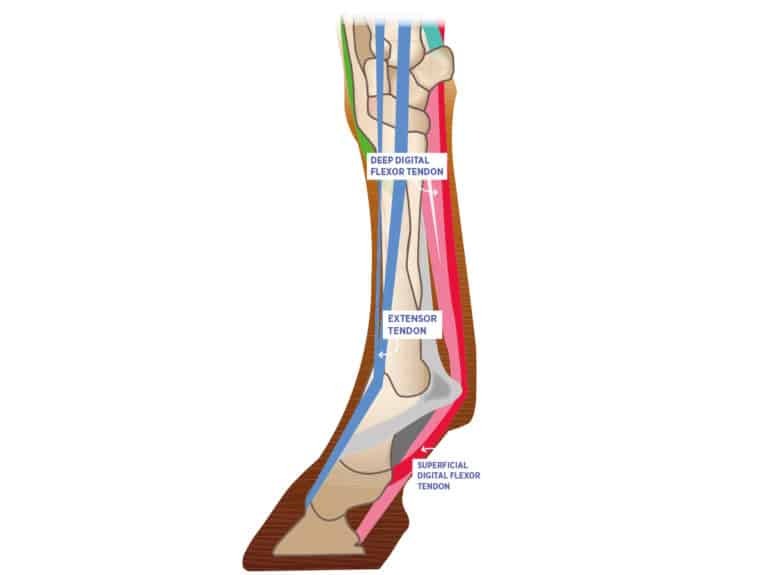 The superficial digital flexor tendon divides into two branches at the pastern, and crosses either side of the deep digital flexor tendon to attach onto the back of the long and short pastern bones. The deep digital flexor tendon continues further down into the hoof, passing over the back of the navicular bone and attaching to the pedal bone. Both flexor tendons have their own check ligament, which anchors the back of each tendon to the underlying bone, preventing them from overstretching. It’s unusual for a single traumatic event to result in serious tendon injury. Usually, it’s repetitive, low-grade overload causing mild damage that leads to major injuries. The most common tendon to be injured is the superficial digital flexor tendon, usually in the cannon region. While galloping, the fetlock joint sinks significantly, which is when the strain through this tendon is greatest. 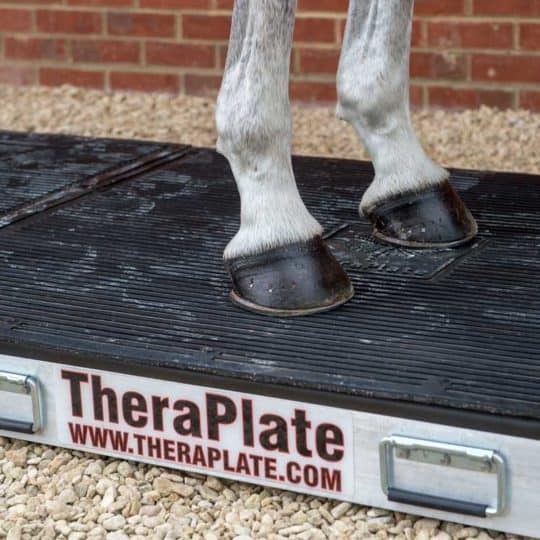 This perhaps explains why injury to the superficial digital flexor tendon is most common in racehorses and event horses. factor for eventers, too. 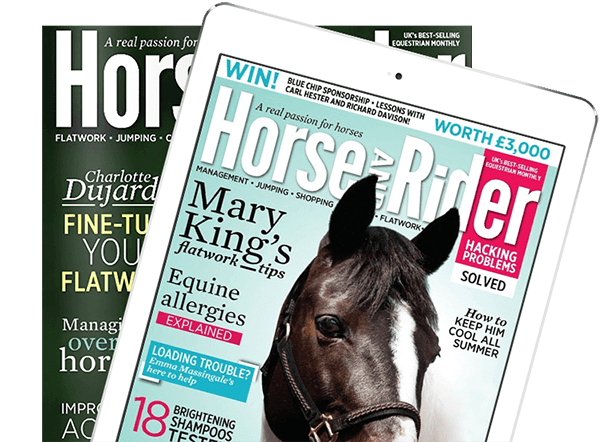 Injuries like this are occasionally seen in horses who specialise in dressage, but are rare in leisure horses, except older ones, who are at greater risk due to age-related degenerative changes to the tendon. 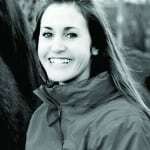 If a horse with a mild injury, who had minimal or short-lived signs, continues to be exercised when the symptoms disappear, there’s a danger the damage may become more extensive and difficult to treat. So always be cautious if you suspect a tendon injury. An ultrasound scan is essential for assessing how much damage there is, and for deciding how best to treat and manage the injury. 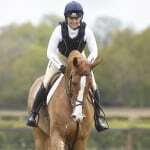 It can also give an idea of how likely your horse is to return to full work and how long that will take. He may need more scans to monitor how the injury’s healing and its response to treatment, and to determine when it’s appropriate to increase his exercise without risking damage to the healing tendon. 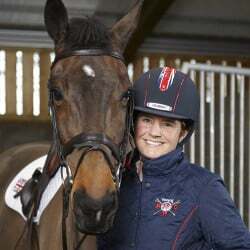 The prognosis for this type of injury depends on how severe it is and what level of work the horse will be expected to do – generally, the more damage there is, the worse the chances of recovery. The speed of healing varies, but most horses need about a year to recover. 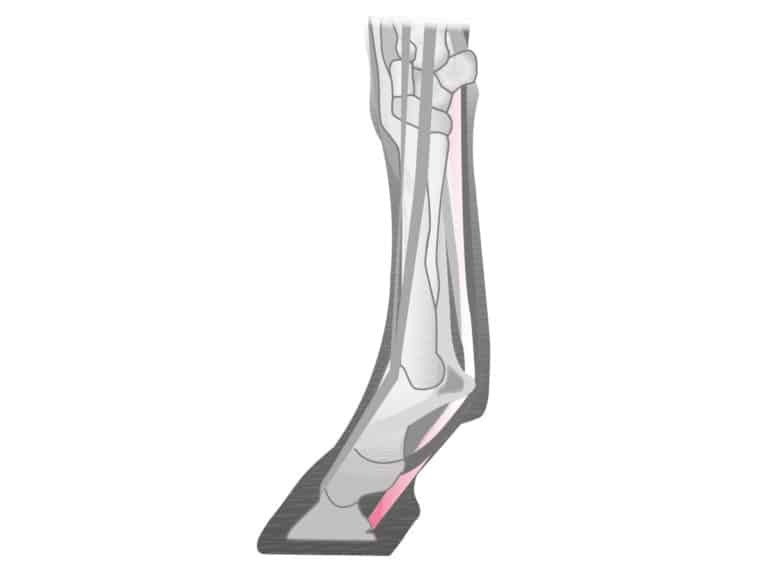 Injury to the end of the deep digital flexor tendon can occur in the forelegs, within the hoof capsule. 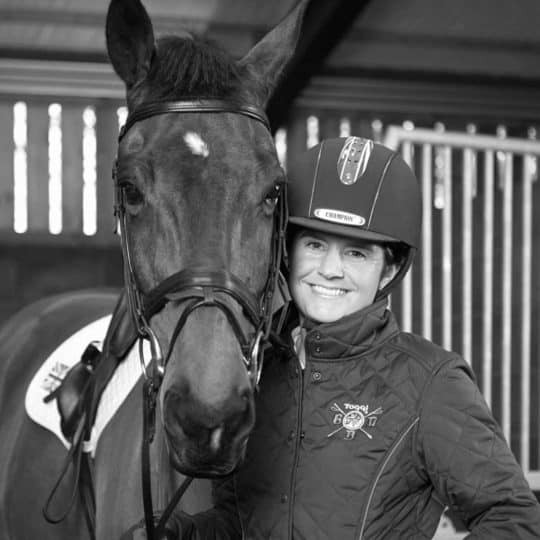 Showjumpers, especially those working at higher levels, appear to be more susceptible. It’s thought that horses with poor hoof balance, particularly a long toe and low heel (broken back hoof-pastern axis) are more prone to deep digital flexor tendon injuries due to the excess stress this puts on the tendon. 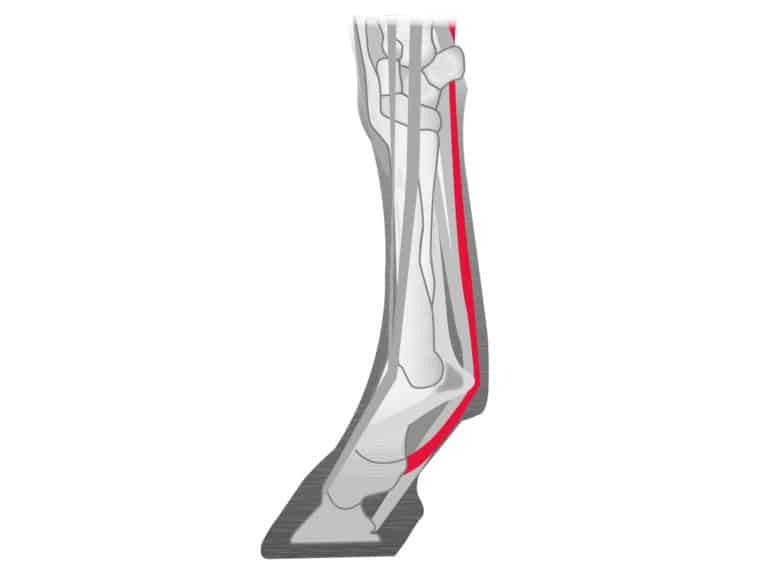 About 15% of horses with a deep digital flexor tendon lesion have long toes and low heels, however this association isn’t supported by current research. Lameness in the affected limb. Nerve blocks can narrow down the source of pain to the foot, however an injury of the deep digital flexor tendon won’t show up on X-ray and it’s impossible to see all of the tendon within the foot using ultrasound. Magnetic resonance imaging (MRI) is often the only way to diagnose this injury. Treatment usually involves prolonged rest. 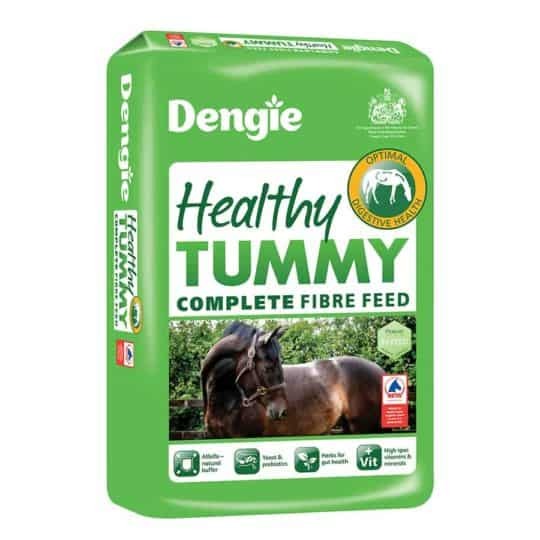 This can vary from 2–8 months, but some horses need substantially longer. Keyhole surgery (bursoscopy) can be performed on some surface tears at the level of the navicular bursa, which is a fluid-filled pouch between the deep digital flexor tendon and the navicular bone. This involves inserting a small camera and surgical tools into the navicular bursa to access the deep digital flexor tendon and remove torn fibres. The prognosis for return to ridden work is generally poor. 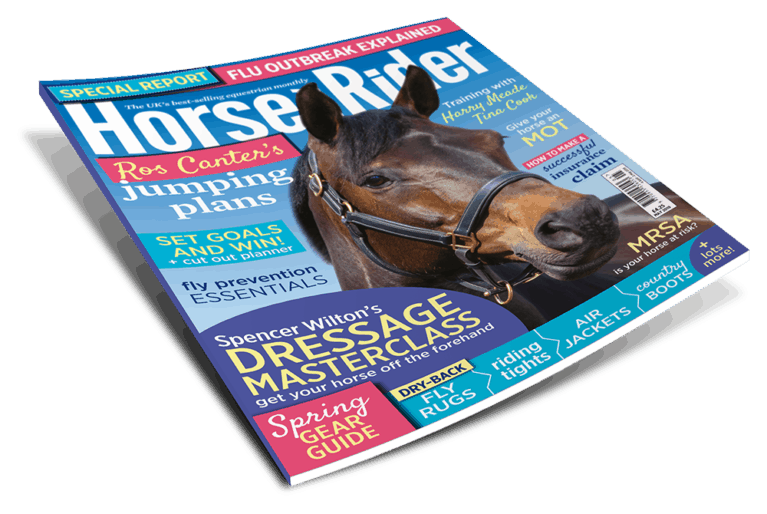 If surgery is an option for the injury, it’s more likely that the lameness will improve, although not all horses are able to return to the same level of ridden work and of those who do, a proportion relapse. This is another common site of tendon injury and here the deep digital flexor tendon is surrounded by a fluid-filled pouch called the digital flexor tendon sheath. Small core lesions (holes inside the tendon) can be managed in a similar way to superficial digital flexor tendon injuries. Large core lesions tend not to do so well with this type of management, but the injection of stem cells can improve the outcome in some horses. Lesions involving the outer surface of the tendon, such as a split, can be surgically treated to remove the torn fibres. Ultrasound examination is very useful to diagnose this type of injury although for some tears, such as those at the edges of the deep digital flexor tendon, MRI is more effective. If a lesion is strongly suspected despite a clear ultrasound scan, then keyhole surgery (tenoscopy) to look at the tendon and, if necessary, remove the torn fibres is often a more cost-effective option than MRI. 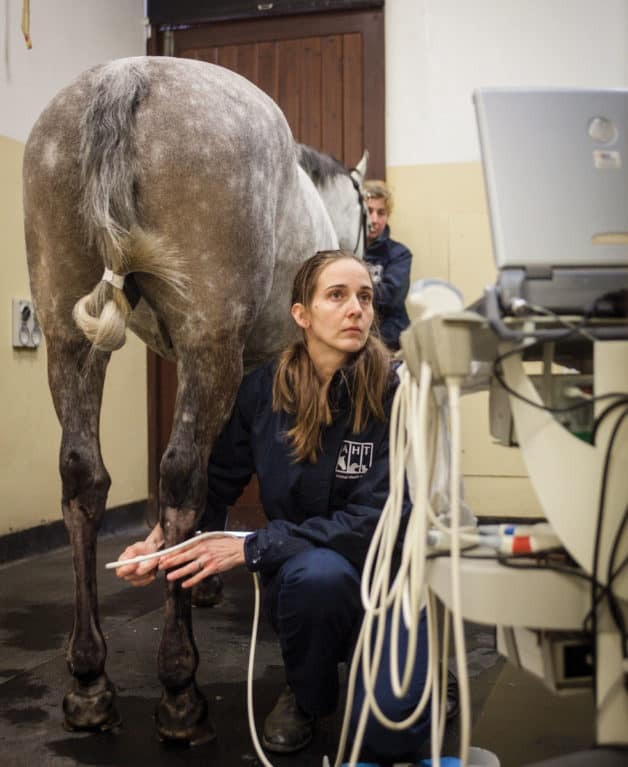 The prognosis, even for young horses, is relatively poor, with only about 40% returning to full work. The common digital extensor tendon is much less prone to injury than the flexor tendons. Injury most frequently occurs as a result of external trauma and is most likely to affect a hindlimb. 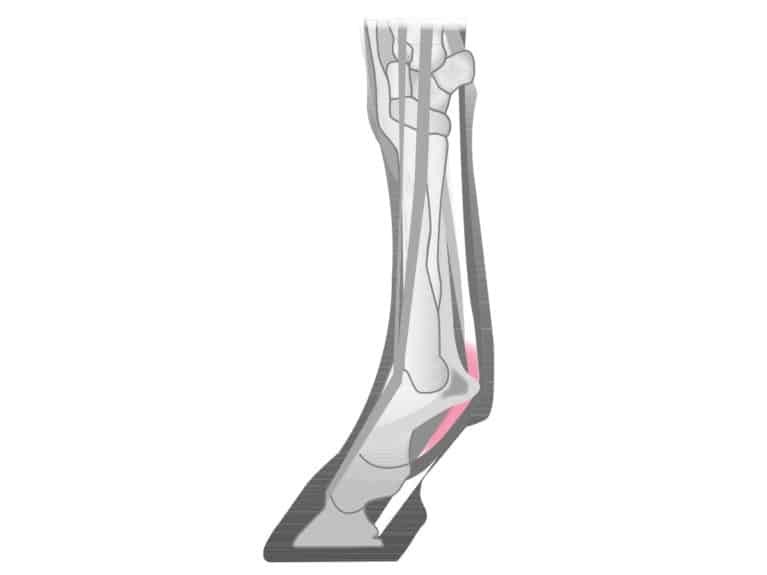 If the tendon ruptures or is fully severed, then your horse won’t be able to extend his toe and may trip or knuckle over. 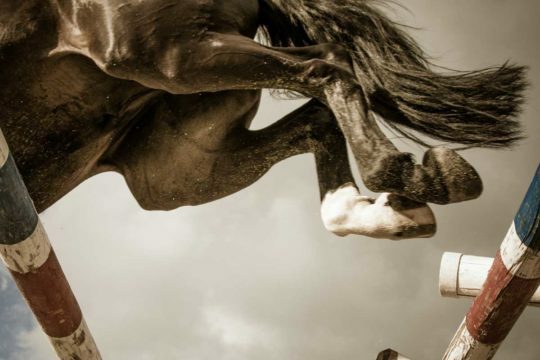 Horses usually adapt their way of moving by flicking their foot forward in an exaggerated manner. Because this injury is caused by damage to the leg the associated wound will need treating, but otherwise the injured tendon rarely needs specific treatment. The horse will need box rest with in-hand walking while he recovers. It’s important that he’s walked carefully at first while he learns how to walk without tripping. It’s sensible to bandage the legs to prevent injury to the fetlock and foot if he does trip or knuckle over. Signs of trauma to the front of the leg, along with tripping or exaggerated toe flicking, are normally enough to make a diagnosis. The prognosis for return to work is usually good. Promptly identifying mild injuries will reduce the chance of a major injury. 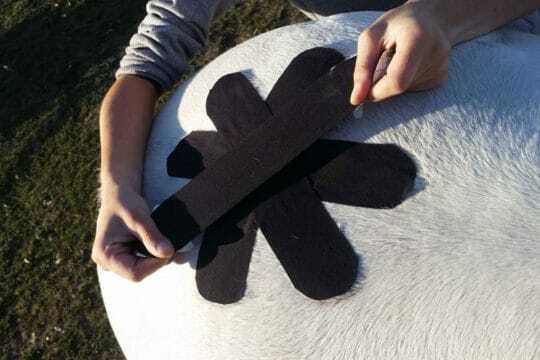 It’s really important to check your horse’s legs regularly for heat, swelling and pain, and to react quickly to any sign of injury. 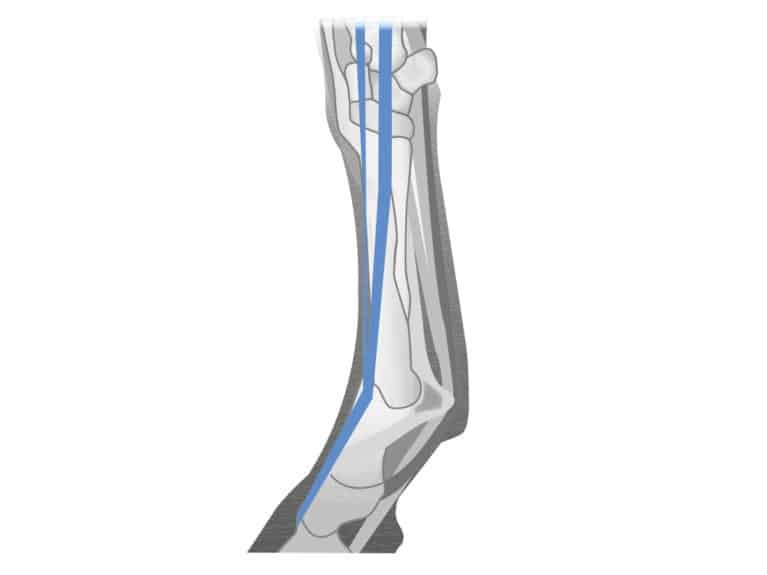 If you suspect your horse has damaged a tendon, cold hose the area immediately and call your vet. It’s sensible to use cold therapy routinely after strenuous exercise to reduce blood flow and dissipate heat, because after exercise inflammatory mediators and free radicals will be released, which can cause tissue damage. However, using cold therapy after exercise could disguise pain, heat and swelling, so it increases the chance of missing the signs of an injury. Therefore, it’s important to closely monitor your horse’s legs after hard work.